I’ve been told in the past I have a lot of astigmatism. What is astigmatism? Astigmatism results from the front of the eye, the cornea, in front of the colored part of the eye, the iris, being shaped more like a football than a baseball. It has two curves instead of one. So for example, if you were purely myopic (nearsighted), it wouldn’t matter what direction light entered the eye, it would hit the same amount of myopia. When you’re myopic with astigmatism, light going into your eye in one direction hits one amount of myopia, the opposite direction hits a different amount of myopia. The difference between the two powers is the amount of regular astigmatism, the location of the curves of the cornea is the direction of the astigmatism. Irregular astigmatism is the result of a distorted cornea, typically from a disease process such as keratoconus or after a surgical procedure such as a corneal transplant. I was told contact lenses would be difficult for me. Why is that and what are my options for contact lenses to correct astigmatism? With glasses, the optician creates lenses with one power one way, the other power the other way, and you’re done. It’s more difficult with soft contact lenses because it’s normal for the lens to spin every time you blink so if you didn’t do anything extra to the lens, the powers would never be in the correct direction. So companies get around that typically by adding an extra piece of plastic to the lens that kind of acts like a weight to hold the lens more stable. But even with that weight, the lens shimmies when you blink so the vision will typically not be as sharp as glasses, especially with higher amounts of astigmatism. 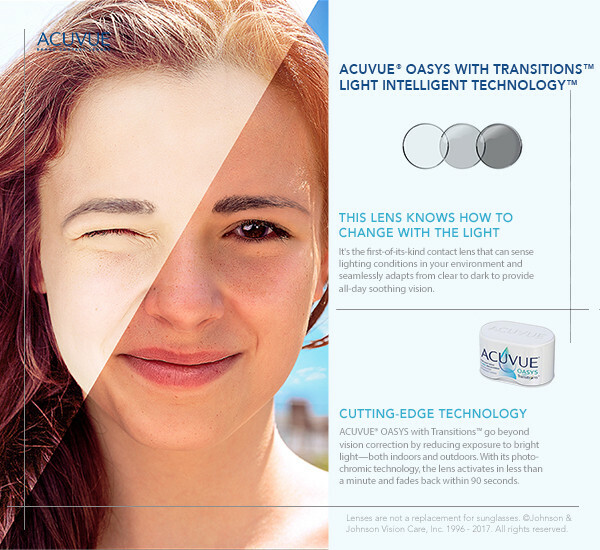 Most people can adapt to that, or put up with it because of the convenience and comfort of soft contact lenses. Technology is always approving, especially if there is a market for it. 80% of the population has some amount of astigmatism so there are now many options for patients with astigmatism in every modality, i.e., daily disposables to monthly replacement lenses. If your vision is not acceptable with soft lenses, there is a category of lenses called Rigid Gas Permeable (RGP). These are custom made of a harder plastic that keep its shape so they can spin all day and the vision remains clear. Even for people with irregular astigmatism, these are a great option because they make up for any imperfections in the cornea. Other advantages are: they can last for a few years, cost less than soft lenses in most cases and require less solutions to care for them. There is a comfort curve you need to build up, almost like a callous, which a lot of people aren’t willing to do. There is a third option that has been greatly improved over the past ten years: hybrid lenses. These have a hard plastic center and a soft ”skirt” so you get the sharp vision of the hard lens but more of the comfort of a soft lens. The downside is cost, but the price has been coming down as their popularity grows.